There were a high number of security incidents in Iraq during the first week of July. That was due to heavy fighting in Anbar and Salahaddin. 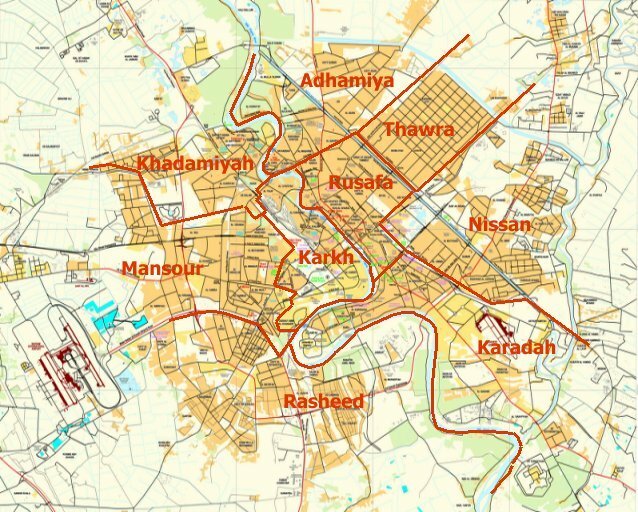 The Islamic State (IS) also launched large attacks upon the Kurds in Kirkuk and Ninewa, and continued its terrorist campaign in Baghdad as well. The violence during the week kept casualties high in Iraq. The press reported 162 attacks in Iraq from July 1-7, 2015. The real number is always much higher. That was the same amount as the last full week of June. Those were the highest amounts of weekly attacks since the middle of May. Baghdad and Anbar had the most incidents, as they have been the main focus of the Islamic State for the last year. 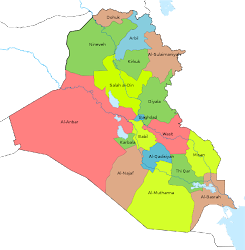 The capital province had 56 attacks, while Anbar 42. After that there were 29 in Salahaddin, 15 in Ninewa, 10 in Kirkuk, 5 in Diyala, 4 in Babil, and 1 in Basra. The press reported 436 fatalities and 725 injuries during the week. The real figures are much higher as the government has been withholding its losses and underplaying attacks to maintain the population’s morale. The dead were made up of 4 Sahwa, 7 Peshmerga, 48 Hashd al-Shaabi, 49 members of the Iraqi Security Forces (ISF), and 328 civilians. The wounded consisted of 12 Sahwa, 36 Peshmerga, 64 Hashd, 53 ISF, and 560 civilians. That was a total of 1,161 casualties, the highest since May 15-21 when there were 1,350. 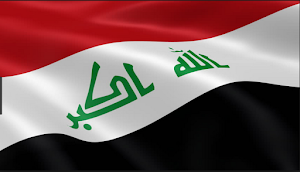 The increase in losses was mostly due to fighting in Anbar where 216 were killed and 287 wounded, and continued terrorist attacks in Baghdad leading to 112 deaths and 282 injured. After those two there were 48 dead in Salahaddin, 31 in Ninewa, 13 in Diyala, 9 in Kirkuk, and 7 in Babil. During the week IS unleashed another round of vehicle borne improvised explosive devices (VBIEDs). There were 16 during the week with another 32 destroyed before reaching their targets. 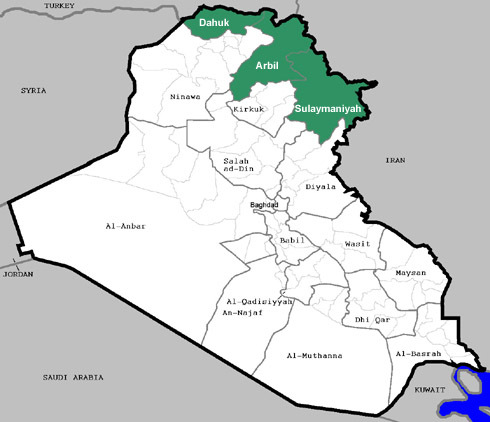 The main targets were Salahaddin with 8, Baghdad with 5, Anbar with 2, and Diyala with 1. Another 19 were destroyed in Anbar, 7 in Salahaddin and 6 in Ninewa. The reported losses were 66 killed and 136 wounded, but there were probably many more that did not get in the press. There was a decided dip in these types of attacks in the last half of June after IS used up its stocks, but it is apparent now that they have manufactured more of these devices. Anbar has become the focal point of the Islamic State, the government and the Hashd after the fall of Ramadi last month. Baghdad’s joint forces seem to be in disarray however over how to proceed. While the ISF with the backing of the United States said that Ramadi should be taken first, the Hashd decided that Fallujah would be their target. Each has followed their own path attempting to surround the two towns and cut off IS supply lines in places like Saqlawiya, which is to the northwest of Fallujah. The ISF are also waiting for police and tribal fighters to be trained by the Americans to provide a holding force for after Ramadi is taken. Only a small fraction of recruits has gone through the U.S. program meaning that the attack upon the city is still some time off. The U.S. is helping with planning for the assault and wants the ISF to be in the lead with the Hashd only playing a supporting role in the surrounding towns. That’s the reason why they have chosen to focus upon Fallujah instead. Members of the Hashd and their spokesman are constantly talking about the coming battle to liberate Fallujah, but when pressed they say that could be weeks to months away. The lack of a unified command highlights the problems Baghdad is having in the war against IS. 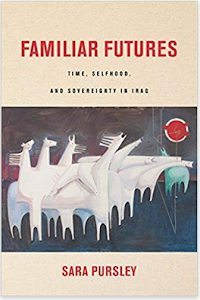 It doesn’t have real command over all of its forces leading to the current contradictory announcements being made in Anbar. That has played into IS’s hands giving it more time to entrench itself into Ramadi and lay down its defenses. If the city was moved upon in May it could have been taken quicker and with less casualties. Another example of this problem was shown at the end of June when Hashd forces were accused of abuses in Nukhaib. On June 29, a Hashd unit was burning houses in that town and attacked the home of a prominent sheikh. 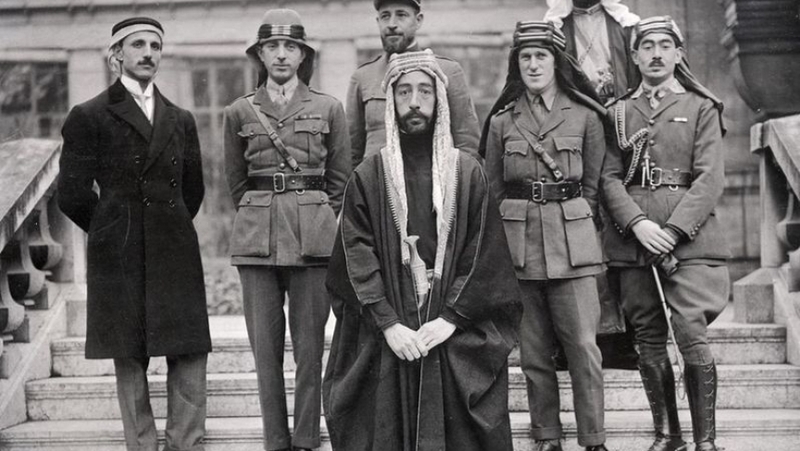 The Anbar council demanded that the government remove this force from the province. That probably didn’t happen as the premier lacks real authority over these forces that follow their own commanders instead. The operation to take Garma to the east of Fallujah continues to make little progress. That operation was started in the middle of May and surrounded the center of the town weeks ago, but has not been able to penetrate it since then. Finally, the new focus upon Anbar has led to a new round of government shelling and air strikes that have caused a huge amount of civilian casualties. Fallujah, Saqlawiya, Ramadi, Sijar, and Niamiya were all hit during the week leading to 157 killed, 72% of the total, and 244 wounded, 85% of the total. Prime Minister Haider Abadi promised to end these practices when he first took office, but that never happened. Baghdad has become a major target of the Islamic State since the end of 2014. There has been a dramatic increase in attacks there as a result. July was no exception. Premier Abadi has been keeping ISF units in Baghdad to try to secure the capital, but that has not worked. The insurgents have been able to hit every part of the province. 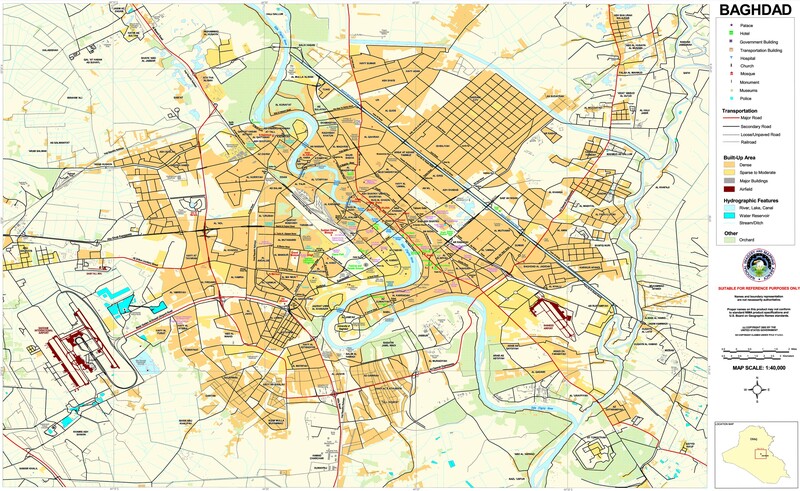 That ranges from the outer towns like Abu Ghraib to the center of the city in places like Karrada to the east like New Baghdad. The result is that Baghdad regularly leads the country in attacks and has some of the highest casualties. In Kirkuk province, which had been quiet for weeks IS launched a massive assault on July 6. It attacked eight towns, seizing at least three of them for a time being before being turned back by the Peshmerga and Coalition air strikes. 6 Peshmerga were killed and 32 wounded in the fighting. Combat in the north is completely different from the rest of the country. The two sides mostly face each other along a set battle line with trenches. The Kurds also have close cooperation with the west, which has allowed it to quickly call in aircraft. The result is that IS attacks are regularly defeated. Likewise in Ninewa IS was probing the Kurdish lines with attacks upon seven different places at the start of July including Mosul Dam and Sinjar. That included six car bombs that were destroyed. 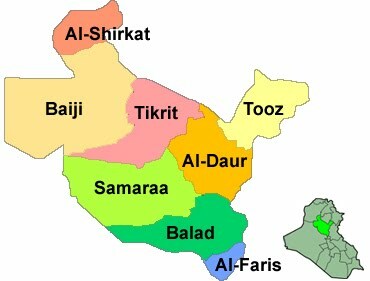 Major fighting over Baiji continued in Salahaddin. 50-60% of the refinery there remains under IS control. Government forces seemed like they were making better headway in the neighboring town, but on July 4 IS attacked with two suicide car bombs and an infantry assault that allowed it to seize four neighborhoods and force the ISF and Hashd to retreat. IS launched several other car bombs in the area before and afterward against the joint forces. Baiji is really a diversionary operation for IS. It already achieved its two main goals there. 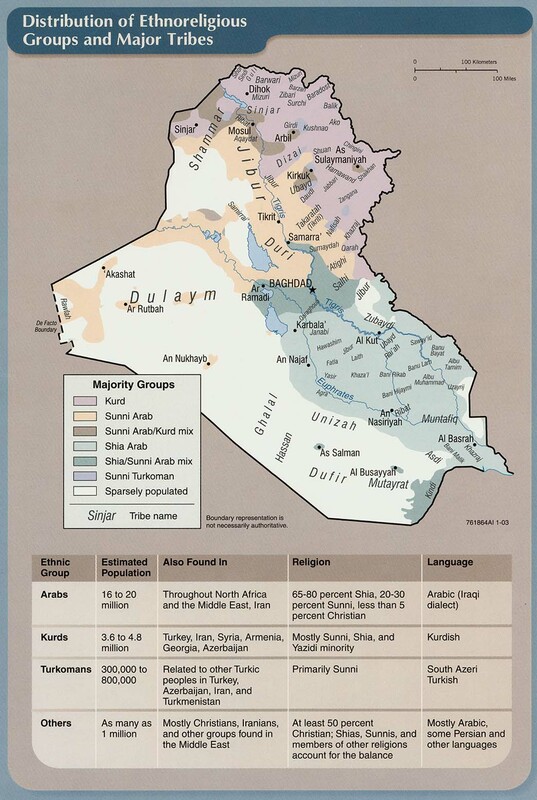 One was to distract Baghdad in May from its main target, which was the taking of Ramadi. The other was to destroy the refinery, which it largely did last month. The continued clashes there are meant to tie down ISF and Hashd units, while its main focus remains Anbar.